Please see the website for the full programme. Tickets available on the door, GBP 7 minimum donation for 24 hour access, GBP 2 minimum donation for a single lecture. 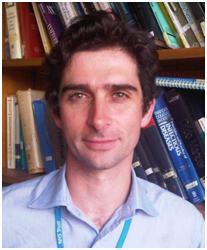 21.00: Dr Paul Collini – Tuberculosis in the 21st century: the return of consumption? Tuberculosis has plagued humans for millennia. By the end of the 19th century, fuelled by favourable conditions created by industrialisation and poverty, this insidious wasting disease, appropriately called consumption, was ubiquitous in both its epidemiology and popular literature. Germ theory, improved social conditions, vaccination and the advent of antibiotics in the following century turned the tide on consumption, cure became possible, sanatoria closed and its profile faded from the public consciousness. But TB has been around for a while and isn’t going to be defeated so easily; it has embraced the era of antimicrobial resistance. Thus the 21st century has heralded drug resistant TB and terrifying new acronyms like MDR-TB and XDR- TB. With almost no new drugs for 40 years, patients, even here in Sheffield, are again faced with a difficult to cure, chronic consumptive disease. What will happen next? Paul joined the University of Sheffield in 2006 and is an advanced research fellow in the Florey Institute and a consultant in the Department of Infectious Diseases and Tropical Medicine at Sheffield Teaching Hospitals. His research and clinical focus is the relationship between HIV and the lung, and is departmental lead for Tuberculosis. His fascination with HIV and TB grew while setting up one of the first HIV treatment clinics in Ghana from 2003-2005 while a clinical lecturer at the Kwame Nkrumah University of Science and Technology, Kumasi, Ghana. Bob and Nic routinely use their knowledge of physics to build and use microscopes to study life at high resolution. They will bring some equipment along to the 24 Hour Inspire and carry out a series of increasingly risky and ambitious microscopy experiments. Among these will be attempts to recreate the discovery of the cell using a wine cork and to track down the “probiotic” bacteria in yoghurt. In doing this they will explain how microscope technology and physical theories have helped us to understand living things. Ultimately, they will find that even the best optical microscopes have their limits, and will talk about the technological revolutions currently taking place that are allowing us build up an increasingly detailed picture of life at the University of Sheffield. Bob Turner is a Postdoctoral Research Associate working on the materials in bacterial cell walls that are targeted by the action of antibiotics. Nic Mullin is a Senior Experimental Officer who develops and applies Atomic Force Microscopy to measure forces and structures on a very small scale. Both work at the University of Sheffield. Do you ever wonder how radiotherapy treatment for cancer works? Who controls and administers the treatment? How is it planned? Most people think all this is carried out by medical doctors, oncologists and nurses. However, the reality is that physicists and technicians work in the shadows making sure that the amount of radiation will be safe for the patient. They use an algorithm that simulates how the radiation will behave inside the body of the patient based on personalized Computer Tomography (CT). Laia’s final year undergraduate project during involved experimental work related to improving the existing algorithm that calculates the amount of radiation for radiotherapy of superficial tumours like breast or skin cancer. This improvement helped the medical physicists to predict with more accuracy the effect of radiation inside the real tissue of the patients and thus to calculate the needed amount of radiation in each point of the body to destroy the tumour whilst minimising damage to the surrounding healthy tissue. Laia will explain the crucial role of physicists in radiotherapy treatment and the basics of radiotherapy procedure. Laia Pasquina Lemonche was born in Castellar del Valles, a small village near Barcelona (Spain). She did her Bachelor’s Degree in Physics at the Autonomous University of Barcelona (UAB). In 2014 she did a one year Erasmus in the University of Ghent (Belgium) and then a Master’s in Advanced Nanoscience and Nanotechnology also at the UAB. 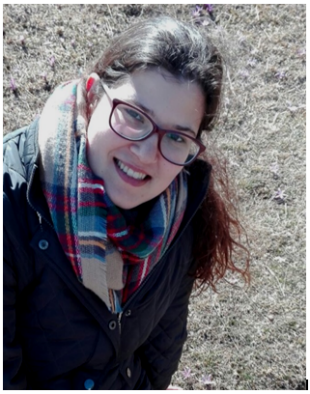 She is now a first-year PhD student at Sheffield in the field of Biophysics, working on the interaction between antibiotics and bacteria cells using biophysics tools such as Atomic Force Microscopy. Nowadays, antimicrobial resistance has become a major threat, and Laia’s project covers some fundamental questions in the field of microbiology that might help in the future win the battle against infections.